Telling Scenes is an album in the most creative sense: not just a collection of songs, but an experience that takes its listener on a journey. 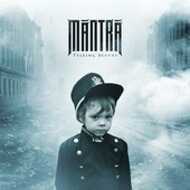 As one part of this journey, Break Tradition represents a side of Mantra very close to his heart. Using dexterous rhymes to unfold stark and literal narratives, Mantra delves into the cycle of violence that sees the endless chain of one person passing their abuse on to the next, until someone makes the conscious decision to disinherit it. To break the tradition.